Beautiful cabin tucked away in Auburn. 3 miles to downtown. Great for Gamedays!! Completely updated and renovated cabin located on ten acres right off Exit 51! We are the newest event center in town that has been completely renovated and updated in 2017. Great for tailgating with your friends, or just a place to stay for game-day weekends! We are located three miles from downtown and close to anything you will need. It is completely private with no neighbors. We have outdoor bathrooms if you want to have friends over to watch the games and bbq! We have plenty of parking! We renovated the cabin in 2017 for parties, tailgates and more! 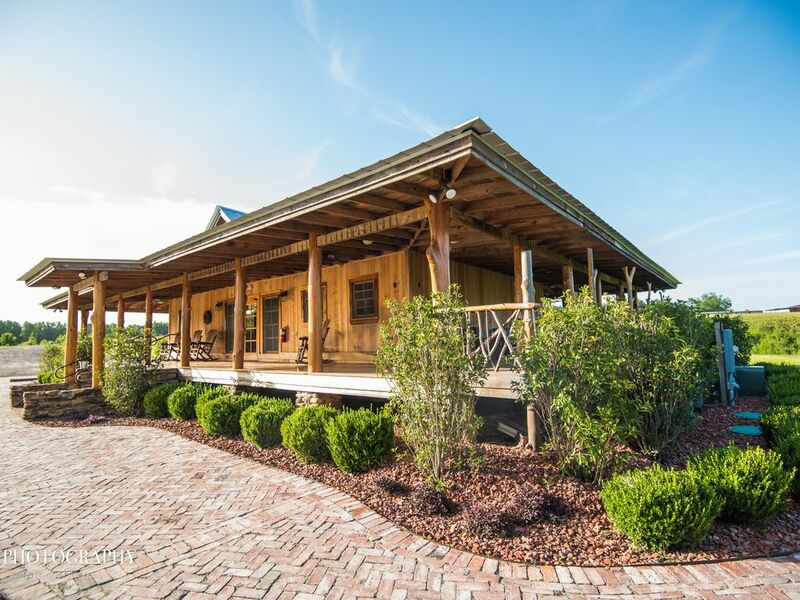 Country/ outdoor/ secluded feel all close to downtown you can't get anywhere else! This is the perfect spot to stay in Auburn - exactly as you see in the photos. very quiet and close to campus. The owners are helpful and responsive. This property is also available for event rentals and is set up to provide your guests with an excellent experience. This is the second time we've stayed on this property. Our first visit was the first time anyone had used it. After our first stay, the owners reached out to us for feedback. We made a couple small suggestions (iron...) and EVERYONE of them was addressed when we returned. They obviously value their clients. It was wonderful and we would absolutely stay here again. Best place I have ever stayed! We came into town for the Southern Miss game and we wanted a place other than a hotel, we came across this hidden gem in Auburn. It's close to campus. The cabin itself is amazing very cozy and it made us feel at home. Parker Hill is the only place in Auburn to stay! The pictures do not lie. This property is all that it's advertised. The 2 bedrooms each had their own private bath with deep tubs. The beds themselves were COMFY! We loved that the wrap around porch literally wrapped around the entire house! It was a lovely way to end the day. The main living area was an open concept kitchen-dining-living room with cathedral ceilings. We loved the glassed-in doorways/dormers on each side of the house...it;s really beautiful. Caroline, was a gracious hostess who responded quickly to every question we had. We arrived early, and they were so accommodating! Ben met us at the door! We enjoyed our stay so much, we've booked it again for October. We highly recommend! Thank you so much Anna Marie! We look forward to seeing you again next weekend and in the future!